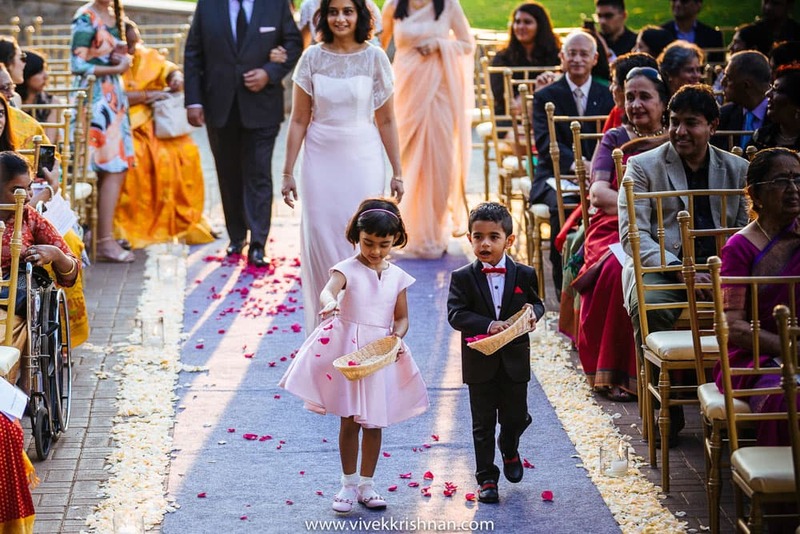 Vivek Krishnan | How To Build Your Own Wedding Photo List! How To Build Your Own Wedding Photo List! Home > Wedding photography blog > How To Build Your Own Wedding Photo List! As a candid wedding photographer, there are so many things that I want to capture in a wedding. And as a bride or groom, I am sure you would say the same! If you believe that there are any specific shots that cannot be missed, the best way to do is give the photographer a photo-list. I also suggest brides & grooms to give me a list of people who they want to be captured with most. Close relatives, best friends, siblings or even a special aunt. These people might get lost in the crowd but if you point them out to me during the pre-wedding functions or even before that, it’ll help me cover my base. For bridal portraits you can use this list . 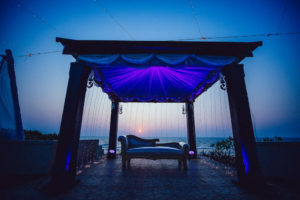 Even the best candid wedding photographers in Goa or anywhere, need a little help from your end! It’s your wedding day and it’s time to have some fun! If you are staying at the venue with your girls, you can get this one captured. Make the first photo of the day a special one – whether it’s jumping on an unmade hotel room bed in your robe, or toasting a cup of coffee with your best friends — something that sets the tone that today is different, memorable, and extra exciting! Make sure to bring along your entire stationery suite (invitations, save the dates and any other things you got printed). A nice collage shot is what I suggest! Now this according to me is one of the biggest opportunities to get candids for every wedding photographer. Have your photographer switch back and forth between you and your partner’s rooms, so that they can capture the getting ready process of both the men and the women. Incase you’ll are getting ready in different places, ask your candid wedding photographer if they can send someone else to the groom’s place. There is also a small list of pictures that I would recommend that every bride & groom get! Mom helping bride with one last detail, like putting on the necklace or bangles! It may feel a bit like Cinderella to have your wedding shoes sitting all pretty under the spotlight, but since your heels may be covered by your outfit, snap some photos of them alone, or beside your dress, so you can always remember the details of what carried you down the aisle! 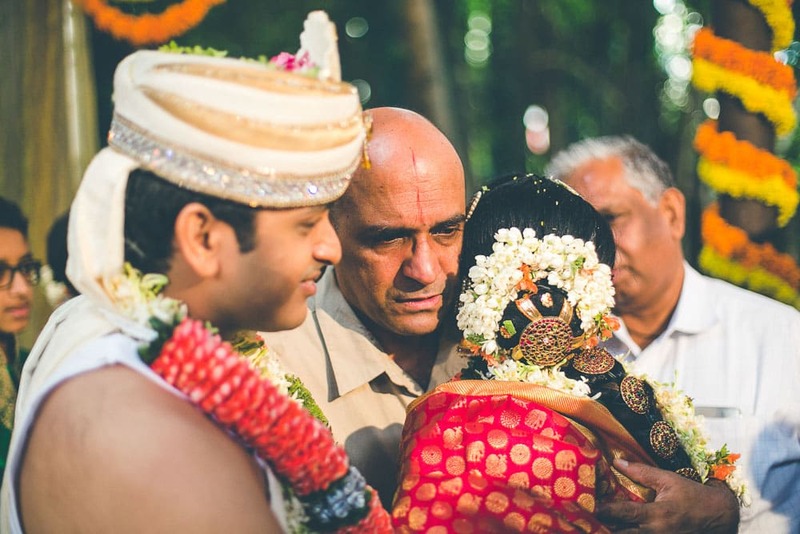 A lot of people believe that the first look when the groom sees the bride is stunning, but as one of the best candid wedding photographers in Goa, I feel that the father-daughter look is the most stunning shot. When the father of the bride sees his little girl in her wedding dress, that moment is an incredible memory that you should capture! Before anyone arrives at the venue, ask your candid wedding photographer to get one shot of how the space looks. Imagine you have a stunning beach wedding in Goa, wouldn’t you want it captured in all its pristine beauty by the best candid wedding photographers in Goa? Also, this is a small list that I would suggest that you can ask your candid wedding photographer to capture! If your dog or another pet is making a special appearance at the wedding, whether walking down the aisle or sitting in the front row, you’ll definitely want to get a few snaps of that adorableness!